Of all his country music performances, there are a few in particular that Eric Church is quite fond of. One that he won’t soon forget is that of September 29, 2017, at the Route 91 Harvest Music Festival. He was the headliner for the first of what was a three-night showcase, filled with country music favorites like Jake Owen, Dierks Bentley and Sam Hunt. Reminiscing on the lively crowd he stood before on Friday night, Church described the performance as the perfect ending to his season of touring. That same crowd, those same people, are the fans who were ambushed and attacked from the 32nd floor of the Mandalay Bay Resort & Casino just two nights later. It was only a few songs into country star Jason Aldean’s performance, when Stephen Paddock opened fire on the festival, killing at least 59, wounding 527 others, and instilling fear into more than 22,000 people. 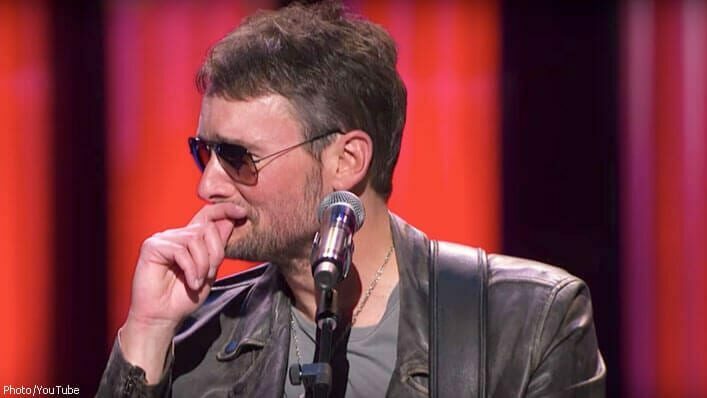 A visibly heartbroken Eric Church reluctantly performed at the Grand Ole Opry in Nashville on Wednesday night, just days after the deadliest mass shooting in modern U.S. history. From the stage, he relived something different he’d done during his performance of ‘Springsteen,’ on Friday night. Feeding off the crowd’s energy and fun, Church actually jumped down off of the stage during the song, and walked through a row that split the crowd. With fans on his left, and fans on his right, Church went all the way down both sides individually and shook as many hands as he could, thanking them for coming. Choking back tears, Church admits he didn’t want to be at the Opry on Wednesday night. Not out of fear, and not out of self-loathing, but out of heartache. But his motivation came from a woman named Heather Melton. Heather and her husband, Sonny, had traveled to Vegas from Tennessee to celebrate their wedding anniversary at the music festival. Sonny died a hero, shielding Heather from the bullets. 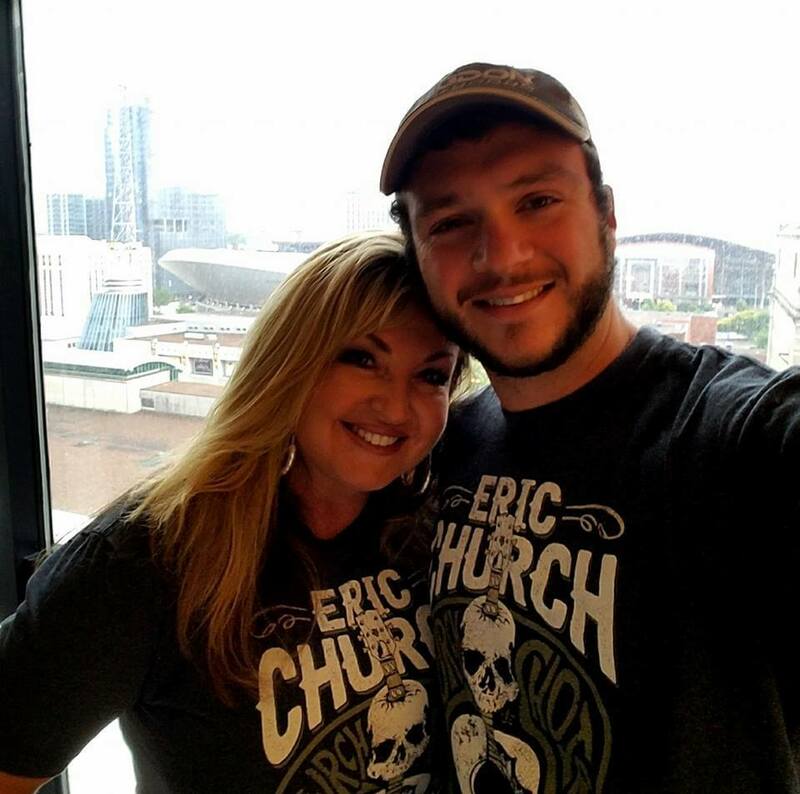 Church saw an interview with Anderson Cooper on Tuesday, in which Heather sported a “Church Choir Tour T-Shirt.” She told the CNN reporter that Eric Church was “Sonny’s guy.” They had gone to the festival specifically to see him. When she added that they had tickets for Church’s Grand Ole Opry show back home in Tennessee on Wednesday night, Church said he decided not to cancel the show. Their two seats sat empty, but he sang to Heather and Sonny. Church says something broke inside of him on Sunday night when the shooting happened. He felt broken for his people. In mourning the victims of the Las Vegas shooting, Church wrote a song called “Why Not Me,” in which he cries out to God, questioning things he can’t understand. His words were raw, and rang true of the things country music was founded on—God, heartbreak and vulnerability. See his full Opry performance below.